Car sharing is coming to Chicago, but not to the south side. The car-sharing service Car2go will largely be steering clear of the south side during a pilot of the program—and transportation advocates are not happy. Oboi Reed, founder of the Chicago-based transportation justice group Equiticity, said he was disappointed by the last-minute exclusion of neighborhoods south of Cermak Road when the test of the program was approved by the City Council last month. 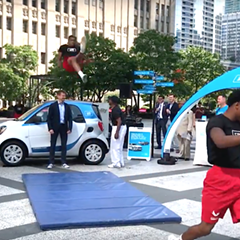 "Removing the south side from the Car2go service map shortly before the free-floating car-share bill passed the City Council was a crude bait-and-switch tactic," Reed said. "The neighborhoods in Chicago that need increased mobility and improved access to transportation are low- to moderate-income black and brown neighborhoods," Reed added. "And again we are cut out from an emerging shared-mobility network." 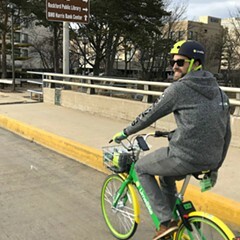 The service, approved by aldermen March 28, allows members to check out a vehicle, usually a two-seater Smart car, and end their trip at any legal curbside parking space, which makes it handy for errands and traveling the first or last mile to or from a transit station. Although rates vary by city and size of car, users generally pay a onetime $5 fee, then either 41 cents a minute, $15 an hour, or $60 a day to use the service. A 2016 UC Berkeley study of some 10,000 Car2go members found that each shared car took up to 11 private vehicles off the road. So groups like the Active Transportation Alliance voiced support for trying the technology here to see if it can help reduce car ownership and vehicle miles traveled. Not everyone was excited by the idea, though. Lakeview and Lincoln Park aldermen Tom Tunney and Michele Smith complained that the service would make parking more difficult for private car owners in their dense wards. 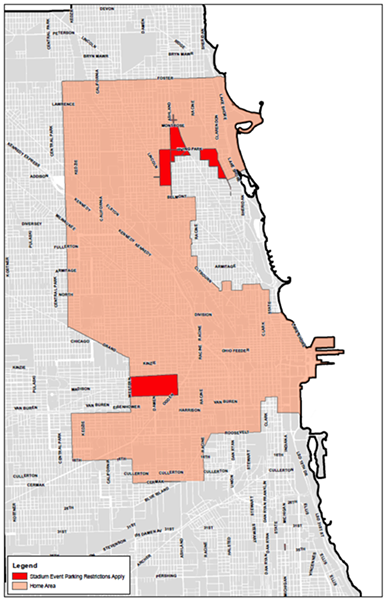 So the Car2go ordinance, sponsored by near-northwest-side alderman Joe Moreno, originally involved a coverage zone called the Home Area that omitted their districts. Other than that, it included the region bounded by Foster, 63rd Street, and the lake, with a western border of Central Park Avenue, Western Avenue, or Halsted Street, depending on the neighborhood. But after the legislation passed, advocates noticed a major change in the map. The approved Home Area map also omitted parts of the near west, near south, and near southwest sides, as well as all areas south of Cermak. That means that communities from Bridgeport to Englewood, and from Woodlawn to Bronzeville, won’t be getting shared cars after all. 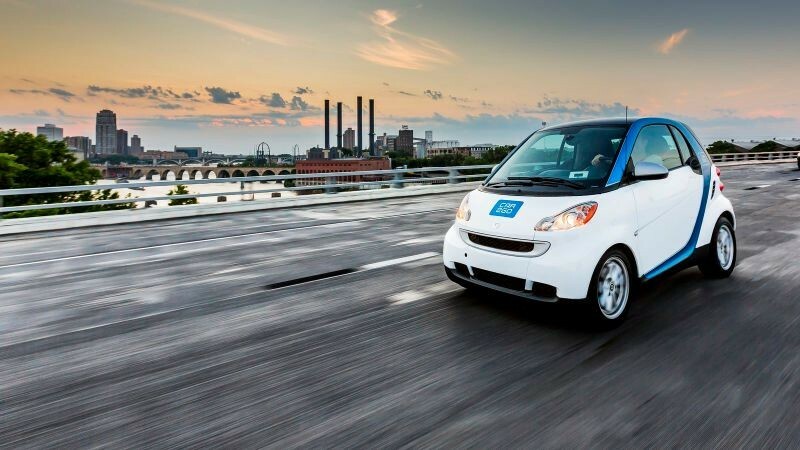 "Due to current parking complexities around Comiskey Park, Wintrust Arena, and the Obama Presidential [Center], the city thought it was best to exclude these areas during the pilot period," Car2go, which is based in Austin, Texas, said in a statement after the ordinance passed. 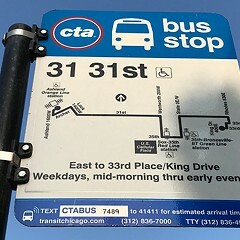 "There were a number of complicating factors in extending the boundary as far south as initially considered," Chicago Department of Transportation spokesman Mike Claffey said. "For the pilot program to work, we thought it made sense for the service area to be as contiguous and as simple as possible." 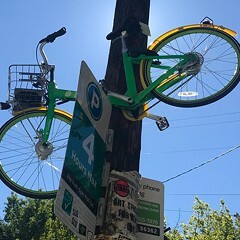 The situation struck Oboi Reed as similar to the rollout of the Divvy bike-share system in 2013, when the lion's share of the stations were concentrated downtown and in dense, predominantly white, relatively affluent areas on the north side, with relatively few docks on the south and west sides. Other African-American community leaders share Reed's concerns. "I'm surprised to find out about the exclusion of neighborhoods south of Cermak," said Bernard Loyd, president of the Bronzeville-based development development enterprise Urban Juncture. "Families living in these south side communities . 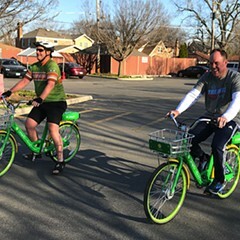 . . have to deal with a lack of [local] jobs and other important amenities every day, making Car2go an option that is even more valuable for us than it is for north-siders." "What?!" exclaimed Rosalind Moore, director of programs for the community group Teamwork Englewood, when I explained the situation. "We certainly could benefit from this in Englewood." She said that when Uber and Lyft first launched in Chicago, it seemed like the companies were hesitant to operate on the south side, but now ride hailing is popular in communities like hers. "This sounds like more of the same." Reed told me he wanted to know who made the final call about deleting the south side from the pilot. "Was it the mayor's office, CDOT, Car2go, or aldermen, and why?" To find out, I called just about every alderman whose ward was affected by the change, including Patricia Dowell (Third), Sophia King (Fourth), Leslie Hairston (Fifth), Patrick Daley Thompson (11th), Willie Cochran (20th), and Daniel Solis (25th). Thomas and Cochran’s offices didn't provide a statement about the change, while a spokesman for Solis said the near-southwest-side alderman didn't request any changes to the service area. In a statement King, whose district includes parts of the South Loop and the near south lakefront, said that, like north-side aldermen Tunney and Smith, she opted out of the pilot out of concerns about parking. "My office is currently evaluating the parking situation in the South Loop with our sister agencies. . . . We felt that in light of this ongoing work, adding the free-floating car program into the mix at this given time would only complicate this matter further." Likewise Hairston, whose ward includes parts of Hyde Park and Woodlawn, said she chose not to participate in the test due to parking concerns. "We have more cars in Hyde Park than physical parking spaces," she claimed, adding that the Obama Center will only complicate matters. Dowell, whose district includes parts of the South Loop, Bronzeville, Grand Boulevard, and other south-side neighborhoods, also said parking issues, particularly around the new Wintrust Arena and Soldier Field, were the reason she opted out. "[The pilot] would be another layer of complexity in an area that's already in flux," she said. When I asked about Reed's argument that it was inequitable to remove south-side areas like her ward from the coverage zone, she declined to comment. King, Hairston, and Dowell all told me they plan to wait and see how Car2go works out in other parts of the city before allowing it to operate in their districts. "We will reevaluate its place in the Fourth Ward when its renewal vote nears," King said. The company hasn't yet announced the start date for the service, but the Council will vote on whether to extend the test after it has run for eight months. After I spoke with the aldermen, CDOT's Claffey confirmed that the coverage map was revised in response to their concerns. "We really didn't want a jigsaw puzzle," he said. "The goal was to have the Home Area be as contiguous as possible and as functional as possible. . . . If the pilot is successful we want to be able to expand it to as much of the city as possible." But Sharon Feigon, director of the locally based Shared Use Mobility Center think tank, who formerly ran Chicago’s now-defunct I-GO traditional car-sharing system, agrees cutting the south side out of the pilot due is shortsighted. "On the street, which we all pay for, you want use the highest and best uses," she said. 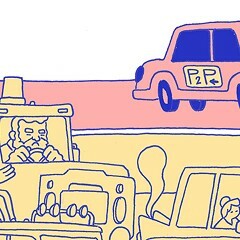 "Private automobiles are just sitting there 90 percent of the time, so prioritizing parking for cars that can be used by 50 people is a better use of the space. "There was tremendous demand for I-GO on the south side, and we did great in Bronzeville, Kenwood, and Hyde Park, so the south side definitely should have been included," Feigon added. "Clearly the south side and the west side get screwed in a lot of different ways." First Ward alderman Joe Moreno wants to put a trial program in place this spring, but opponents worry that it will create a parking crunch.